The course is being taught by Richard L. Edwards, Ph.D. who co-hosts the Out of the Past: Investigating Film Noir podcast and also teaches at Ball State University in Muncie, Indianapolis. For those who don’t have TCM, or even cable, don’t worry. The network promises to post links to online public domain films. 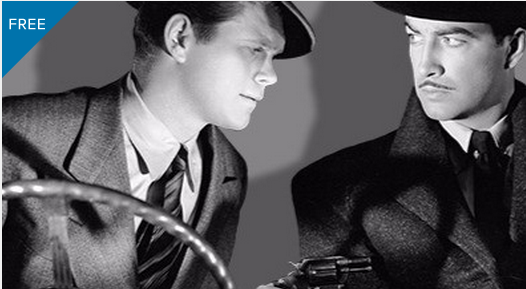 Or, better yet, you could jump right into our collection of 60 Free Noir Films Online, which features public domain classics by Orson Welles, Fritz Lang, John Huston, and many more. Have a hazy, dangerous summer and watch out for femme fatales! Kansas City Confidential: Did This 1952 Noir Film Inspire Quentin Tarantino’s Reservoir Dogs?